This is my third round of research with my question “How does dreaming vary with age?” .For this research round, I’m going to be looking into dream disorders and how it changes with age. What is a dream disorder? For my next research round, I had the idea to go look at myths about dreams, sleep and age then do research about them to try and see if they are true,false or neither. If you have any ideas, questions or comments, feel free to let me know. Thanks for reading. Great round of research! It was very intriguing to read, and I found the diagrams you provided useful. I am fortunate enough to not have had any nightmares in years, or very many nightmares in my life at all, but the few that I did have I can assure you I remember very vividly. It really makes me feel very empathetic towards people who suffer these kinds of dreams on a regular basis. I'm also very curious now if women truly do have more nightmares than men, or if women are simply more likely to report it, as I have a feeling that it might possibly be the case since our society pushes men to keep their feelings and insecurities to themselves in order to be more "masculine". I wonder if there are any ways that people suffering from dream disorders/parasomnias can get help, and how effective the options are? I liked your research this week! It was very easy to read and follow along with, but it was also very informative. The images and charts that you included definitely supported your points, engaged me, and contributed information. I was surprised to learn that girls are more likely to develop a dream disorder than boys--interesting! I also was surprised to learn how ambiguous some of these statistics are due to the low frequency of people who report their dream disorder. I was surprised to learn many people do not report their cases, but at the same time, I can almost understand why. Where do you draw the line between sometimes having nightmares and having them constantly? 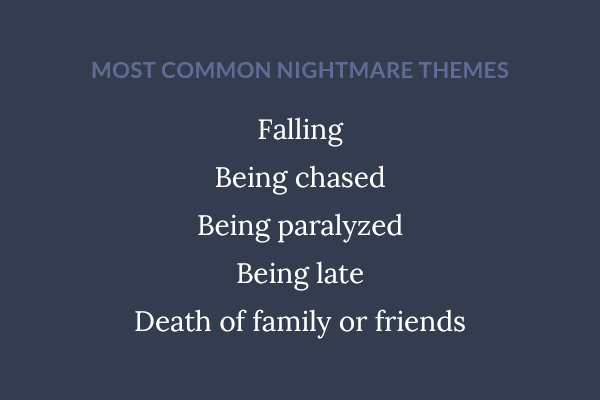 Additionally, for those who are aware that they have an issue with nightmares and may have a dream disorder, it might seem futile to seek help. This topic is super interesting, and I think it will be intriguing to see how it develops as it is researched further. Your research has sort of inspired me to look a little further into dreams! The percentage of children that suffer from nightmare disorder seems to be quite high, possibly as much as 50 percent of the population. Meaning that half would suffer from this, which is simply unbelievable. It’s a staggering percentage of the population, which makes me wonder just how nightmare disorder affects children as they are growing up? It is affecting them during the time when they are growing and changing the most and affects up to half of the population so if it did have certain effects it would be very important to know of them I think. I also like the use of the table as it really added to my understanding of things, like how certain issues were caused due to what reason and when exactly when you were sleeping that they were activated. 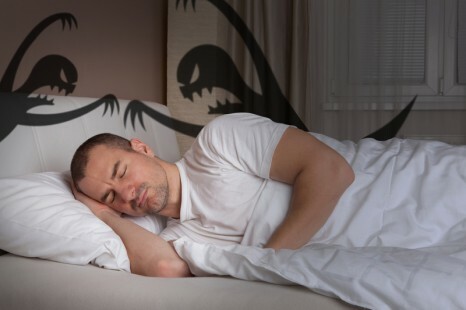 Parasomnias seem quite interesting as it encompasses all the issues that can arise while sleeping, they also seem absolutely terrifying at the same time though. Waking up but being unable to move, being trapped in your own body, that would be absolutely terrifying and worse of all you wouldn’t be able to react at all cause you’re paralyzed. Honestly though I wonder how many people actually have this, as it’s entirely possible that they could wake up in the middle of the night, not do anything bad go back to sleep, and forget all about it the next morning so it could be possible that there are many more people with it, that just don’t know and never will know. I can’t wait to see what myths you find ext round! Wow! Another great round of research. I liked how you added various photos, bolded your titles and made a table to better explain your inquiry! It’s intriguing how you mentioned that people with artistic minds are more at risk for nightmares. It makes sense that due to their “well-developed imagination”, they can take their nightmares more into depth. I also found it interesting how female teens have more frequent nightmares than guys. However, I’m curious to why that is. Perhaps elaborate on your future posts! I did some research and found some facts. According to a study done by University of the West of England, women’s dreams typically either confusing/muddled, or they consist of being chased/having their life threatened and losing a loved one. On the other hand, men had their dreams reference real attacks and serious threats. They concluded that women’s dreams contained more family members and had more negative motion. If you're interested, I attached a link (2nd below) that would help out. Nonetheless, your explanation parasomnia was well done. I feel like it’s a term that not many people can recognize; however, when you gave examples of it, it helped with the comprehension. For future rounds, maybe you could investigate the causes and treatments of parasomnia?